Blurred motion long exposure lines light of car headlamps headlights soft focus . 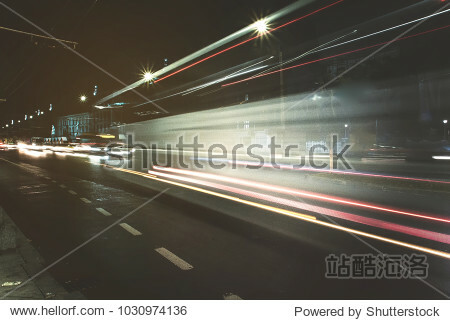 Unfocused speed and fast cars concept in city. Traffic jam public transport image copy space background.